A night on the town usually means that a few drinks are had. Wheather it be the best of craft beer or great top shelf rum someone who has a few too many should make sure they know where they're at on the scale of drunkness. Luckily for everyone you'll be there ready to help out anyone who wants to find out. All someone needs to do is to blow into the blowing tube and you'll be able to tell them if a few drinks more are needed or if maybe they should have a glass of water. 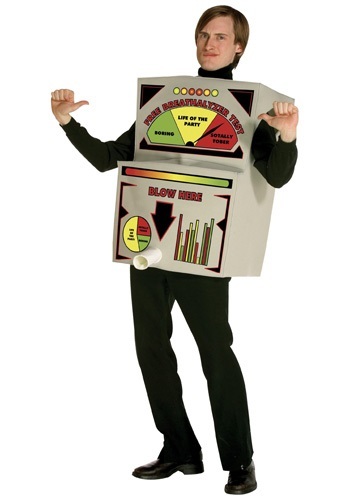 You'll be the perfect party accessory this holiday in this hilarious costume.